If, like us, you love small breeds of dogs and are thinking of getting one, it’s good advice to consult a list of small dog breeds first. 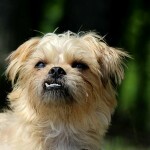 The sheer number of different types of small dogs to choose from can be quite overwhelming. And it can actually be very difficult to decide upon the best small dog for you and your circumstances. 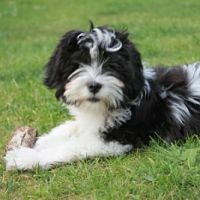 So in order to help you, we’ve put together a comprehensive list of small dog breeds (fluffy ones, of course!) along with a short description of each breed. 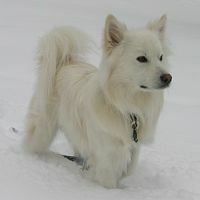 Very affectionate and friendly towards family and friends, the American Eskimo can be wary of strangers. A very intelligent dog that is also vocal, and is a constant chewer. Very good with other dogs and children. Sheds a lot and needs grooming. Requires a fair amount of exercise. Good with young children and very affectionate. 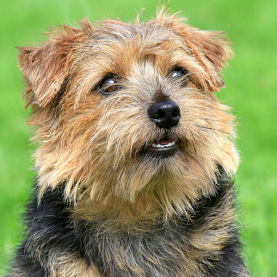 The Australian Terrier is intelligent and makes a very good watchdog. Bred as a working dog and has strong instincts to hunt and kill small animals. Loves digging so not the best dog if you like your manicured lawn! 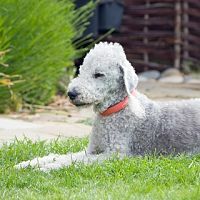 A good family dog, the Bedlington Terrier is affectionate and playful. Good with children and fairly good with strangers. Energetic diggers and fast runners, they need plenty of exercise. Usually ok with other dogs, but needs to learn to get on with cats and other animals. An independent and happy dog. 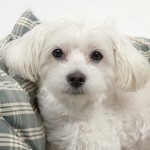 Very affectionate and playful, the Bichon Frise makes a great family pet. Good for those with allergies as they don’t shed their coat. Can suffer from separation anxiety so not the ideal choice if you will be leaving your dog alone for long periods. 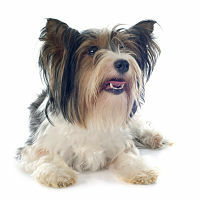 Playful and adventurous, the Biewer Terrier is an energetic little dog. 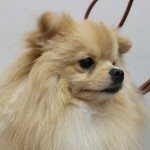 Can suffer from small dog syndrome if you are not the pack leader, so needs firm handling and training. A brave and loyal companion, they are great family pets. They also make very good watchdogs. 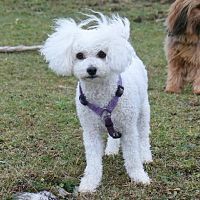 The Bolognese is a clever and loyal small dog that is also quite shy and reserved. They are also playful and happy, getting along fine with other dogs. Prone to small dog syndrome and separation anxiety, they require firmness and plenty of attention. A good hunter and an energetic digger, the Border Terrier is a very energetic dog with a loving and good-natured personality. Determined and loyal they require a lot of attention and exercise and so are more suited to active families. Not the ideal choice for a pet that is to be left alone for long periods. A sensitive dog that can be moody, the Brussels Griffon requires lots of attention and so is more suited to those who can give them this throughout the day. Can be irritable with children but usually get on fine with other animals. Very affectionate. 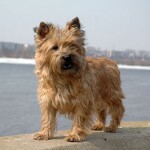 A confident and intelligent dog, the Cairn Terrier is small and sturdy. Independent but likes attention and can become bored and unhappy if left alone, which can lead to chewing and barking. Good with children and makes a great family pet. 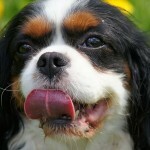 Lively and outgoing, the Cavalier King Charles Spaniel is friendly and affectionate. 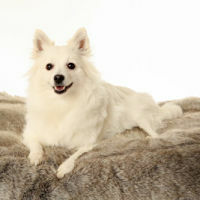 They get along well with other dogs and pets and are well-behaved and eager to please. As they love attention they are not suited to being left alone all day. They can also develop small dog syndrome if allowed to. 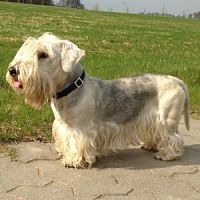 The Cesky Terrier is a calm and patient dog, but is also curious and playful. Brave and intelligent, they are good with children and are easy to train. Gets along well with other dogs and pets, and they are an ideal family dog. They require firmness to prevent small dog syndrome. 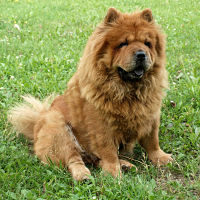 The Chow Chow is a quiet and attentive dog but can also be territorial. Reasonably good with children, better with older children as they tend not to tolerate being fussed over or manhandled. Will also get along with other dogs and pets if they get to know them when young. Require firmness and to know who is the pack leader. 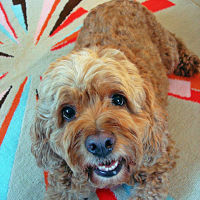 Affectionate and friendly, the Cockapoo is always happy and full of life. Gets on great with children, strangers and other pets. Good for people with allergies. Requires a fair amount of grooming but less then poodles. 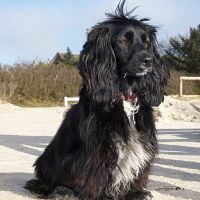 The Cocker Spaniel is a gentle, friendly and happy dog that makes a great companion. Very good with other pets and children. Requires a fair amount of grooming. 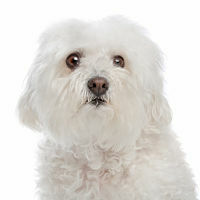 A sweet and cuddly dog, the Coton de Tuléar has a very gentle personality. 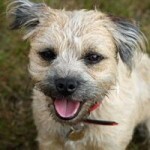 Very intelligent but doesn’t like to be alone so not ideal if you will be away from home for long periods. Easy to groom, good with children, strangers and other pets. 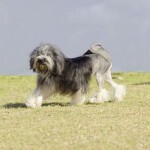 The Dandi Dinmont is an independent dog, but is also friendly and affectionate. Gets along well with children and other pets as long as exposed to them when young, but wary of strangers. Intelligent and bold. Modest exercise requirements. 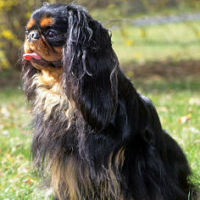 Quiet and laid back, the English Toy Spaniel is an unassuming but independent dog that requires little exercise. They make devoted companions making them ideal for the elderly or those with mobility problems. Can suffer from separation anxiety so not for those who will be away from home for long periods. Get along with other dogs but can be timid and reserved with strangers. 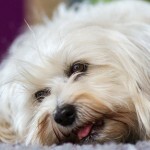 Very affectionate and loving, the Havanese gets on well with other dogs, children and strangers. Needs company or will suffer from separation anxiety. An energetic and playful little dog that is curious and intelligent. Easy to train. 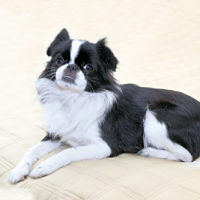 Very friendly and affectionate and also very cat-like and athletic, the Japanese Chin is a loving, intelligent dog. Independent but well-behaved and ideally suited to apartment living. Despite their coat, they require little grooming. Gets along well with other dogs and cats and older children. Their small size means they aren’t really suited for younger children. 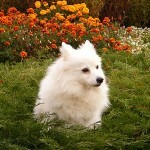 The Japanese Spitz is a playful and intelligent dog whose alertness makes it great watchdog. High-spirited but well suited to apartment living. Needs firmness to avoid small dog syndrome. 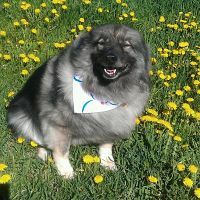 A very friendly and sociable dog, the Keeshond loves children. Will also get along with dogs and other pets if introduced to them at an early age. Full of energy, active and intelligent. Needs a fair amount of exercise. Gentle but playful, the Kyi-Leo is almost cat-like in its abilities. Very friendly and affectionate, and good with children as long as it is shown firmness and leadership. Needs to be socialized at a young age to prevent wariness of strangers. 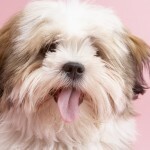 Very protective though not aggressive, the Lhaso Apso needs socializing and training at a young age. Very independent and intelligent. Coat requires a lot of grooming. Not the most patient with young children. 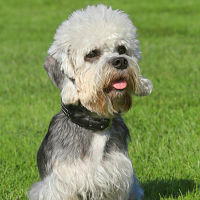 A brave and surprisingly robust little dog, the Lowchen is nevertheless gentle and playful. Loving and affectionate, they require attention to thrive. Gets along well with other pets but can be wary with strangers if not socialized at a young age. 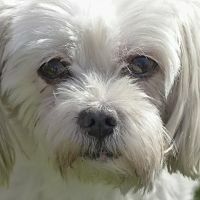 The Maltese is an elegant and intelligent dog that is well suited to apartment life. Very energetic and intelligent, they require a lot of attention or they can suffer from separation anxiety. Considered to by hyopallergenic. Not too good with young children. 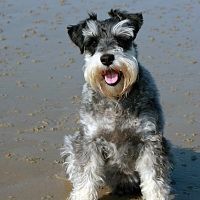 A good-natured and intelligent dog, the Miniature Schnauzer is friendly and affectionate. Playful and energetic, likes attention and gets along well with children. Can get along with other dogs if socialized when young. Requires firm training to avoid small dog syndrome. Outgoing, lively and energetic, the Norfolk Terrier is friendly and outgoing. Independent but affectionate, and get along well with children if raised with them. Needs lots of toys and attention to keep them occupied. Full of personality and very energetic and active. 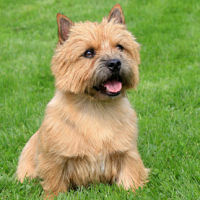 Brave but not aggressive, the Norwich Terrier is friendly and affectionate. Their high energy means they require a lot of attention and exercise. 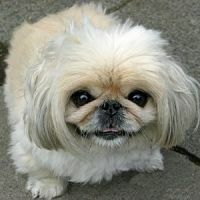 Brave and independent, the Pekingese is also a very affectionate dog. Likely to develop small dog syndrome if allowed to, so firmness is required. Wary with strangers and may not get along with other dogs. Coat requires a fair amount of grooming. The Pomeranian is an independent yet loyal dog. Gets along well with other dogs if socialized from a young age. Their independence makes them a good choice for the elderly or those with a busy lifestyle. 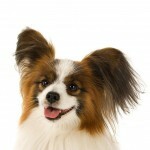 Very friendly and curious, the Papillon is a bright and energetic dog. Outgoing personality and loves to be with people. Good with children, dogs and other pets. 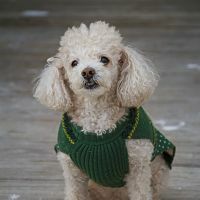 A very intelligent dog, the Toy Poodle is affectionate and likes to be with people. They are likely to get lonely if left alone for long periods. Require a fair amount of exercise and may develop small dog syndrome if allowed to. One of the easiest dogs to train. 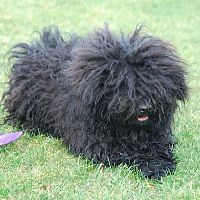 Clever and confident, the Puli is an intelligent dog that is great with children and also the elderly. The long coat requires a lot of grooming. Wary of strangers but not aggressive towards them. Requires firmness to know who is the boss (you!). 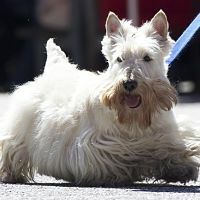 The Scottish Terrier is a clever and independent dog, that can also be stubborn. Needs little exercise other than a short walk each day. Gets on well with older children but not really suited to younger children and babies as doesn’t like to be prodded and poked. Likes digging. 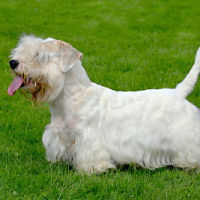 The Sealyham Terrier is an affectionate and loyal dog. Can develop small dog syndrome if allowed. Good with older children. Inquisitive and good-natured. 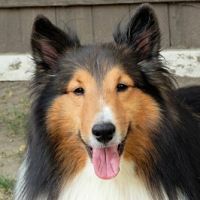 The Sheltie is a loving and affectionate dog that gets on well with all members of the family. Can be wary of strangers though. Clever and eager to please. Require attention to prevent them getting bored. Little exercise needed other than a daily walk. Alert and lively, the Shih Tzu is a clever and happy little dog that is full of character but needs firmness to prevent small dog syndrome. Requires plenty of attention and exercise. Gets along great with children, pets and other animals. 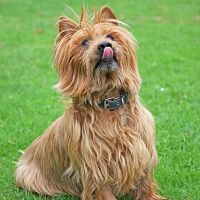 Elegant but full of character, the Silky Terrier is a true terrier who loves chasing and digging. Requires exercise daily and is best when not left alone for long periods. Loyal and friendly, but better with older children than younger ones. 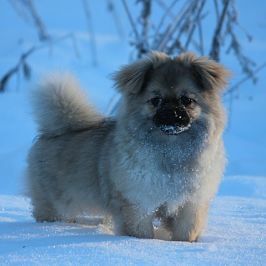 The Tibetan Spaniel is alert and active, and a loyal and affectionate companion. Clever and happy, they get along well with other animals. Requires firmness to avoid small dog syndrome. 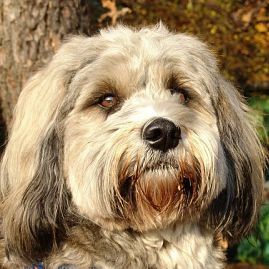 Brave, but gentle and friendly, the Tibetan Terrier is a clever dog that is full of life and personality. Requires a fair amount of exercise and attention. Good with older children. Can be wary of strangers. Affectionate and loyal to those close to it, the Volpino is nevertheless wary of strangers. Quick and agile they love to play. Gets on well with all members of the family and makes a good watchdog. 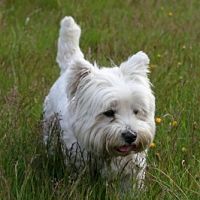 Independent and friendly, the Westie loves life. Intelligent and quick to learn, making them easy to train. Can usually be left alone while you go to work. Gets along with children of all ages, and enjoys the company of other dogs. 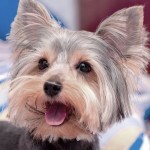 The final dog on our list of small dog breeds is the Yorkie. 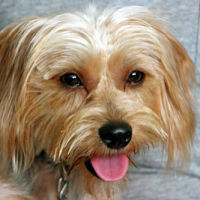 The Yorkie is friendly and affectionate to those they know but can be wary of strangers. They like lots of attention, so not ideal for being left alone for long periods. Requires daily exercise but not excessive amounts. Better with older children rather than younger. It can be hard to decide which is the best small dog for your needs. All breeds have different personalities and needs that you need to match with your own requirements. 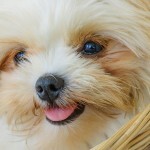 The above list of small dog breeds should help you to choose the perfect dog for your situation.